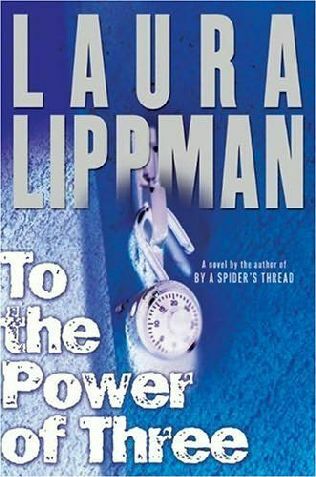 To the Power of Three was my first novel by Laura Lippman. It’s hard to know what to say about it because while I didn’t love it, I certainly appreciated its merits. To the Power of Three tells the story of Kat, Perri and Josie, childhood best friends. One June morning, one of the three brings a gun to school, shoots two of the girls (one fatally) and then herself. The novel then begins to unravel the story of what would have caused this horrible act of violence. Lippman is an accomplished writer. In some ways, her work reminds me of Carol Goodman. Lippman’s characters were complicated and well drawn – even minor characters have interior lives, hopes and fears. We come to understand these three girls and share their bond through the years of their friendship, but we only come to understand what caused one of the girls to take such drastic measures at the novel’s conclusion. To the Power of Three wasn’t a page-turner in the way that some mysteries are. Perhaps that balancing act is hard to achieve: literature and suspense; a well-written story that you speed through because you can’t bear not to know whodunit. For my money, no one manages that sort of book better than Thomas H. Cook. Still, Lippman’s skills are apparent and I’d certainly read her again. In fact, I have What the Dead Know waiting on my tbr shelf. This entry was posted in Uncategorized and tagged 2010, Book Review, mystery, popular fiction by Christie. Bookmark the permalink. Thank you very much for sharing this interesting review. I had always thought (based on no knowledge at all) that ships were places of huge inhibitions…. A pleasure to discover your blog. Glad you stopped by. I was trying to figure out your comment about ships since it didn’t seem to apply to the review that your reply was posted to. I think you meant to attach it to the review of The Last Night I Spent With You. Anyway- thanks!